We all love Microsoft Excel and we use it almost every day for almost everything – from a simple calculator to tracking massive projects. There’s just one thing that Excel is not good at and that is creating Gantt charts. For this reason, we created Gantt Excel, an automated excel template that allows you to create awesome Gantt Charts within Excel. Using this Gantt Chart Template is very straightforward. We have customized the Excel ribbon to include a Gantt Tab with buttons to add Gantt charts, Tasks, Milestones etc. 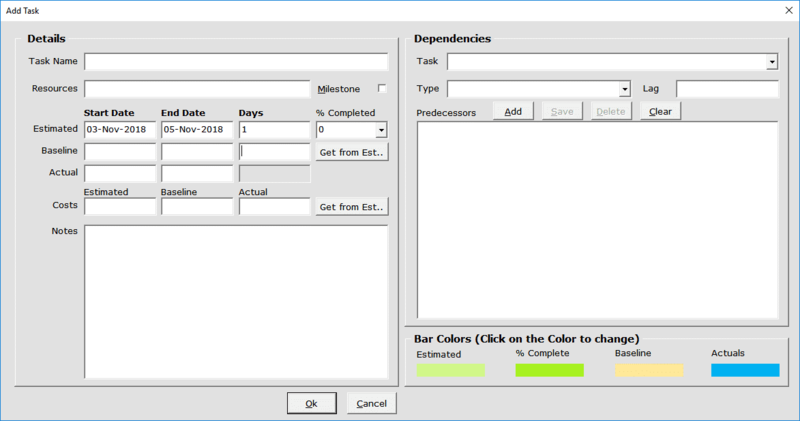 You can create cascading dependencies in the Gantt Chart based on time so that you see how time changes will affect other parts of the process & the final deliverable. Yeah, you heard that right. 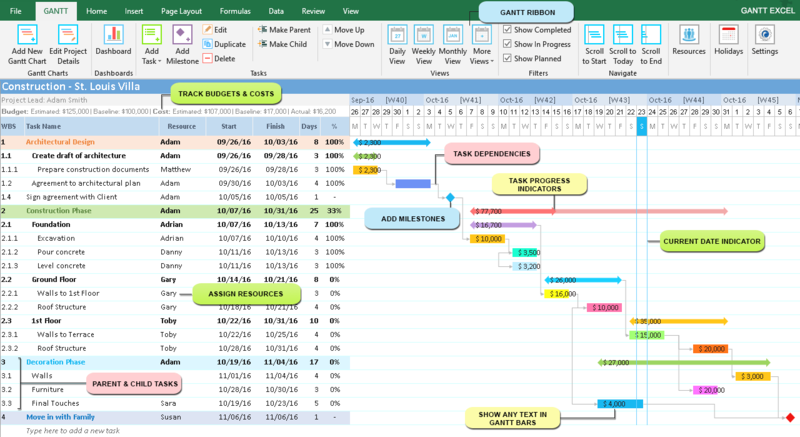 The Project Dashboard is a free add-on for Gantt Excel. A dashboard is the best way to easily communicate key project details. With a click of a button, a million calculations analyze your project plan and the project dashboard is instantly created based on the project timeline. Gantt Excel doubles up as a budget and expenses template. Keep track of project costs in your Gantt chart. You can also track baseline cost, estimated cost and actual cost for each task. Additionally, you can create milestone charts for important presentations and communications with senior management and clients. Gantt Excel automatically accounts for selected workdays. Gantt Excel has six calendar views – Daily, Weekly, Monthly, Quarterly, Half-Yearly and Yearly View. Ability to Set Parent & Child Tasks in your Project. 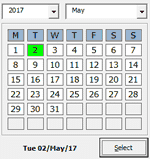 Set the holiday calendar to exclude holidays in the Gantt chart. You can now display any text within the Gantt bars in Gantt Excel. This allows you to show the right amount of detail to understand the project plan instantly. The task form will provide a detailed overview of task information including resources and dependent tasks. Immediately see any overdue tasks in your project schedule and save them from falling through the cracks. Overdue tasks show in red color or any color of your choosing. Colors are important visual cues in Gantt charts. You can customize the project timeline colors as much as you want. Create a project timeline to impress! How to Create a Gantt Chart in Excel 2016 for MacOS? What is a Milestone Chart?